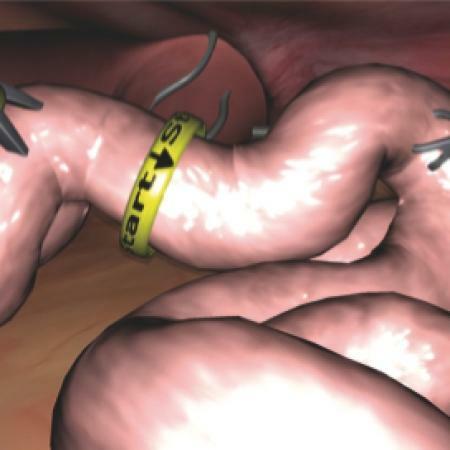 The LapSim virtual reality system is a combination of computer hardware and software modules which recreate the procedures and environment of abdominal keyhole surgery, providing a safe and effective learning experience. The LapSim system utilises advanced 3D technology, including interactive live video, to provide the trainee with a realistic virtual working environment. Practice sessions can vary in graphic complexity as well as in the level of difficulty. Courses can easily be created or modified by the teacher to fit a trainee's specific needs, or the requirements of a training curriculum. Save, import and export functions facilitate course sharing between educators and institutions. LapSim is the most evaluated and validated system for virtual reality-based laparoscopic training on the market (over 40 evaluations). An increasing number of papers have clearly demonstrated the beneficial effects of both short-term and long-term systematic training with LapSim. Conclusions have shown that novice surgeons trained using the LapSim system have acquired skills that transfer into the operating room. The Basic Skills and Cholecystectomy modules have both been shown to discriminate between trainees with varying degrees of expertise and experience, thus showing that the system is well suited not only for training purposes, but also for examination and certification. LapSim® Basic Skills: camera navigation, instrument navigation, co-ordination, grasping, cutting, clip applying, lifting and grasping, suturing, precision and speed, handling intestines, fine dissection. Click here to view demonstration videos for this software module. LapSim® Task Training: peg transfer, pattern cutting, ligating loop. Click here to view demonstration videos for this software module. LapSim® Cholecystectomy: cystic duct and artery clipping & removal, gall bladder separation and removal from liver. Click here to view demonstration videos for this software module. LapSim® Gyn: tubal occlusion, salpingectomy, tubotomy, myoma suturing. Click here to view demonstration videos for this software module. 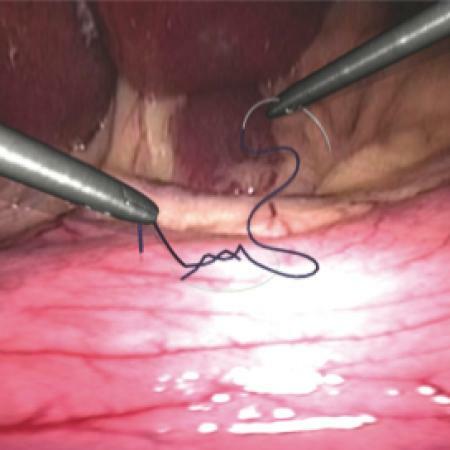 LapSim® Suturing & Anastomosis: needle passing, interrupted stitching, running stitching, square knot, surgeon's knot, stitch & square knot, stitch & surgeon's knot, interrupted suturing, running suturing, side-to-side anastomosis. Click here to view demonstration videos for this software module. LapSim® Appendectomy: will include both loop and stapling techniques. Click here to view demonstration videos for this software module. Various combinations of hardware and software modules are available, please contact us to discuss your requirements.